Advertising fraud is an urgent problem. Yet, there’s hope it will be dramatically reduced in the foreseeable future. 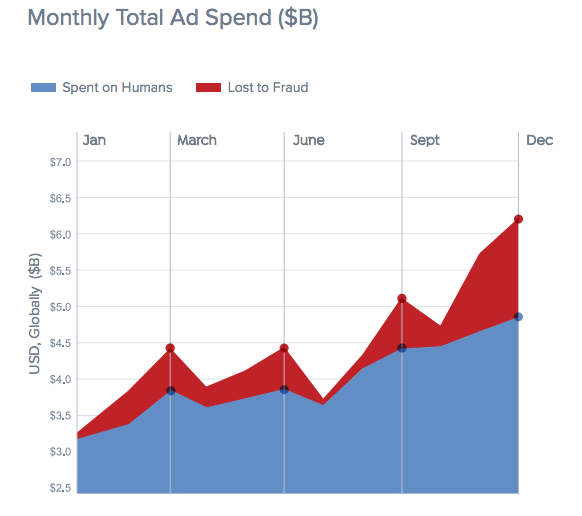 The recent research conducted by the Association of National Advertisers (ANA) and White Ops has revealed a substantial decline in ad fraud this year: $6.5 billion estimated in 2017 versus $7.2 billion in 2016. This decrease looks even more prominent given the 10% increase in this year’s digital ad spend. 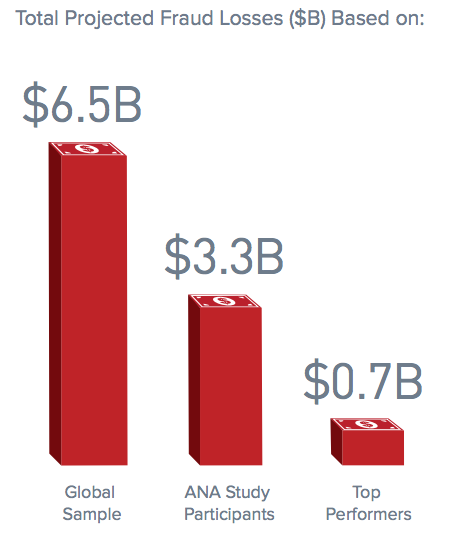 Moreover, this year’s Bot Baseline Report claims that ANA’s top 20 members are capable of reducing global losses to $700 million in 2017. “Marketers worldwide are successfully adopting strategies and tactics to fight digital ad fraud”, — says Bob Liodice, CEO at ANA. “This is a powerful indicator that the war on digital ad fraud is winnable for those who establish proper controls and protocols”. Liodice believes it’s particularly good news for marketing, advertising and media communities all over the world. However, a major risk factor for advertising fraud remains: traffic sourcing. As per ANA, the amount of fraud coming from inorganic traffic sources is 3.6 times higher in comparison with non-sourced traffic. This is partly explained by the cheapness of bot traffic compared to the cost of legitimate search traffic; at the same time, these sources are identically scored by viewability measures. Due to its rapidly growing popularity, desktop video remains the primary aim for traffic fraud: in 2017, it will experience only a 1% decrease in fraud losses compared to 2016. Meanwhile, fraud losses in desktop display will decline from 11% to 9% this year. Certain periods across the year are more likely to witness fraud level spikes. As shown in Figure 2, the holiday season – November and December – consistently tends to showcase higher fraud levels than other times of the year. Mobile advertising seems to be doing very well in terms of ad fraud: research shows just 2% of advertising fraud across mobile web display buys and mobile apps. This can be explained by mobile’s lower CPMs and decreased advertising units. Counterfeit inventory possessed by programmatic platforms costs relatively little, and in-app fraud is bound by the app’s audience. Does it all mean that the fight against ad fraud is won? Unfortunately not. Bots are getting more and more intricate and human-like in their behaviour. 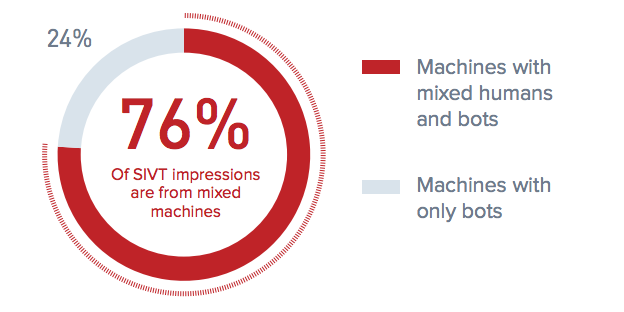 75% of the fraud detected in the research came from computers operated both by humans and bots. Moreover, simple bot detection doesn’t amount to fraud prevention. Fraudulent traffic frequently goes undetected because of feedback loops with advertisers and verification companies. Another issue is the deceptive sense of security regarding private marketplaces and other areas assumed to be fraud-proof; such spaces have experienced just as much fraudulent traffic as others. – Large media companies (“walled gardens”) should encourage third-party fraud detection. It is in those corporations’ best interest to cooperate with third-party fraud detection companies accredited by Media Rating Council (MRC) to detect Sophisticated Invalid Traffic (SIVT). So far, not all “walled gardens” have attempted to get MRC accreditation. Michael Tiffany, CEO at White Ops, expresses concern about bots growing more and more sophisticated. Despite the decline in fraud rates observed in the ANA 2016-2017 Bot Baseline Report, he advises that buyers and vendors should remain vigilant. “We look forward to collaborating as an industry to continue fighting the war on fraud and advise others to follow the industry best practices of many ANA members,” Tiffany concludes. 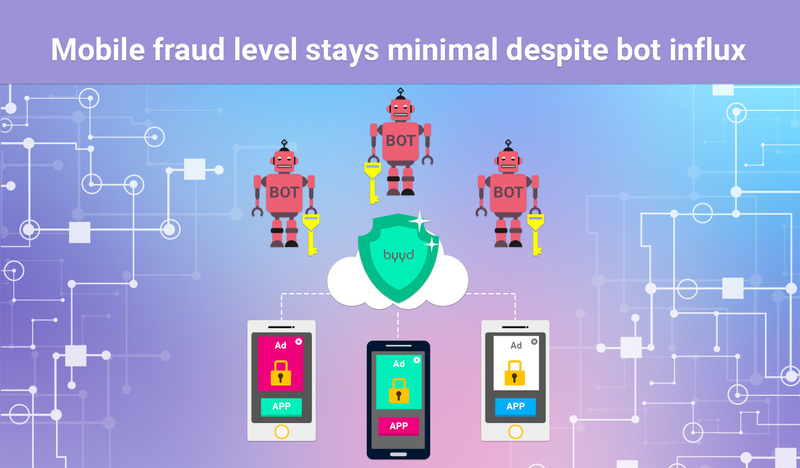 Our team at BYYD has a set of mechanisms that fully ensure the security of advertising traffic from bots, frauds, etc. We are happy to tell about all the intricacies of the work of these mechanisms to our clients and agencies. Share with colleagues and friends! Live Streaming: the New Trend in Advertising?